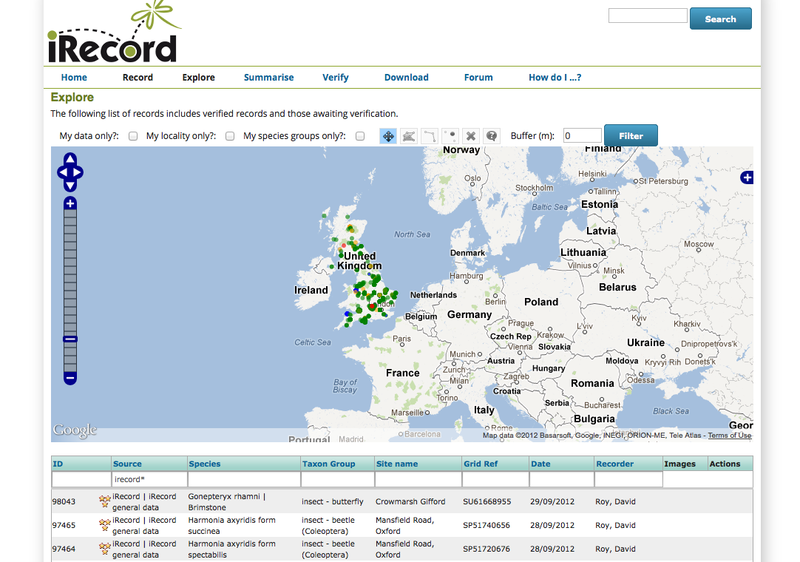 Indicia is used as the online recording engine which drives the Biological Record Centre's new iRecord website. iRecord provides general purpose online recording as well as the ability to build a library of forms for specific purposes. Behind the scenes a powerful verification tool makes checking through records fast and efficient for experts. The ease with which Indicia allows new forms to be added means that iRecord can bring online recording possibilities to anyone running a biological survey. Each recording survey can have configurable species lists and attributes captured for records. iRecord is built using Instant Indicia and the Drupal content management system.